If you’re after a few surefire small business management tips, this blog post’s an absolute must-read. Did you know 33% of the workforce will soon be made up of self-employed professionals? If you’ve been slowly transitioning your side-hustle into a full-time gig, you’ll need to start thinking like a small business. This involves employing some management tactics. To help you out, we’re going over four small business management tips that will help you stay organized. These tips will also set you up for future growth. When starting a small business, it’s imperative you keep a close eye on your finances. While you haven’t reached the point of needing an accountant, investing in accounting software is a good idea. As your client base grows, you’ll need to keep track of incoming revenue. You’ll also need to closely record business expenses. All this is important come tax season. If you start paying outsourcers to help with the workload, using an online paystub maker is an invaluable resource. You can also use this as proof of income for things like renting housing or buying a car. Not being at the mercy of a nine-to-five job feels great, but you still have to manage a productive schedule. If you don’t, you risk falling behind and losing income. Make sure you treat your self-employment like a regular job. It helps to wake up at the same time every day and have a plan. One effective tactic is to write down your schedule for the next day before you stop working. Prioritize your tasks based on urgency and make sure to account for breaks. You’ll most likely start out as a one-man operation. However, as once you start growing, you’ll need to rely on others to help meet demand. Whether you’re outsourcing to other professionals in your network or decide to make your first hire, you can’t be afraid to delegate work. When doing this, try to offload the tasks better suited for someone else. This allows you to concentrate on the things you excel at. It also gives you the chance to manage finances and work on growing your client base. One of the most difficult aspects of self-employment is attracting new business. If you don’t market yourself, you’ll simply tread water. If you let this happen, you run the risk of serious financial stress. The good news is, there are a number of digital marketing channels that small entrepreneurs can take advantage of. Social media is a big one, so make sure you’re promoting your business on Facebook, LinkedIn, and Twitter. You should also think about creating a brand logo, website, and start blogging about your industry. This is a great way to enhance your online presence and show potential clients you’re driven and knowledgeable. Self-employment can offer you the freedom you’ve always wanted, but only if your work for it. When you’re ready to take your side-hustle to the next level, you need to start thinking like a business. 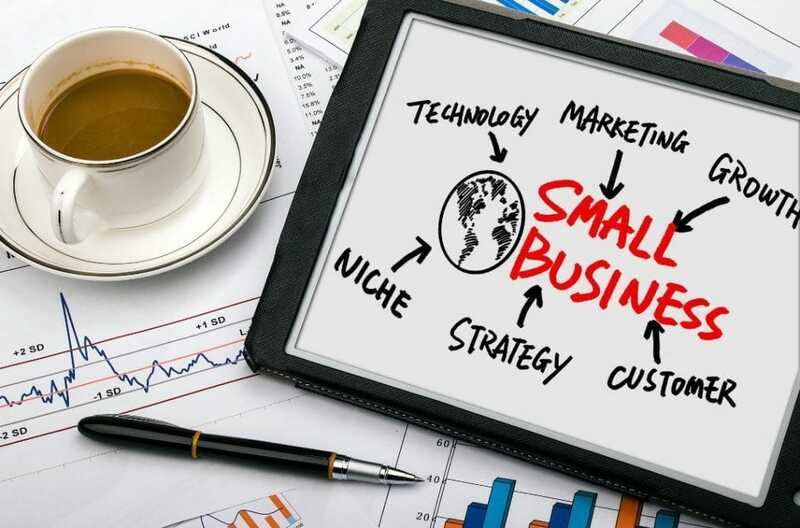 Use the small business management tips discussed above to set a foundation for future growth. Check out more articles with tips and tricks for smarter living.